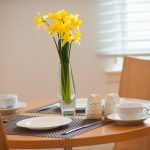 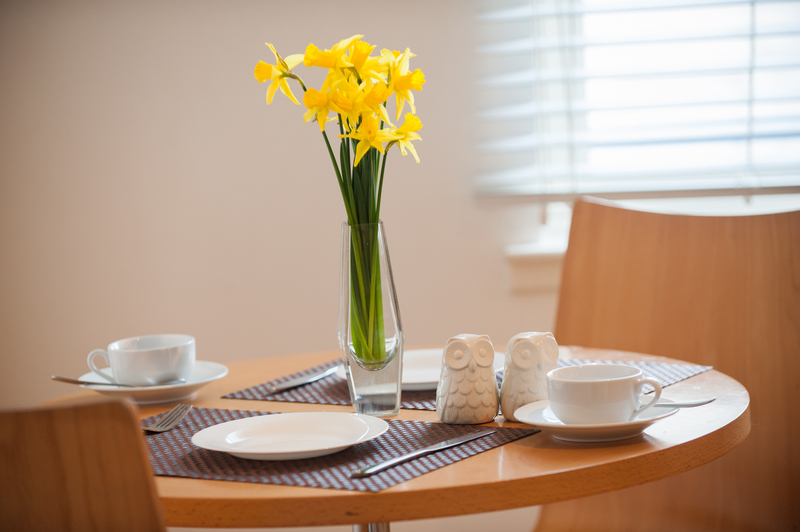 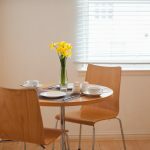 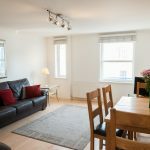 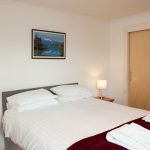 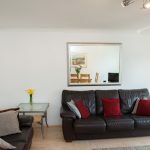 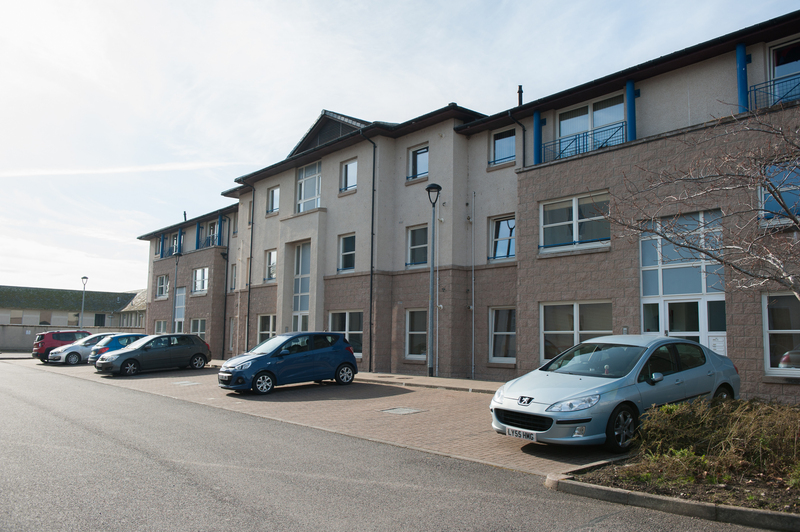 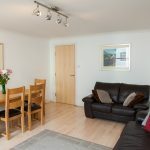 River Walk is a modern two bedroom apartment within close proximity of Inverness city centre, Eden Court Theatre and the islands in the river Ness. 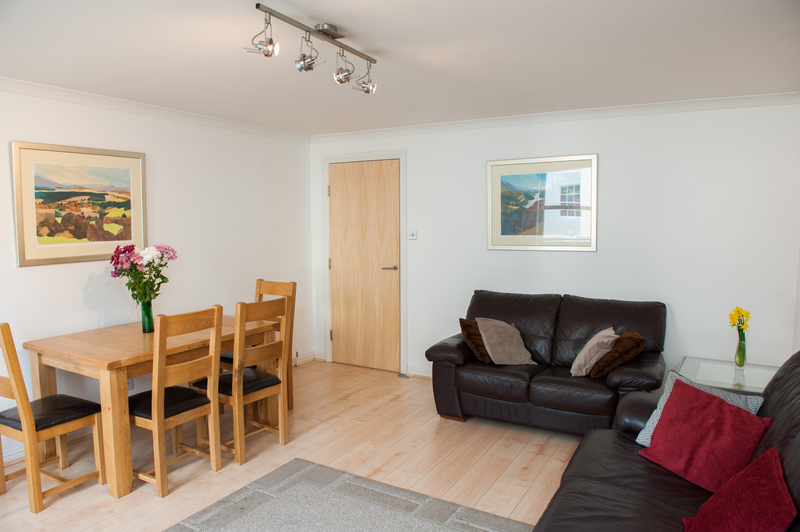 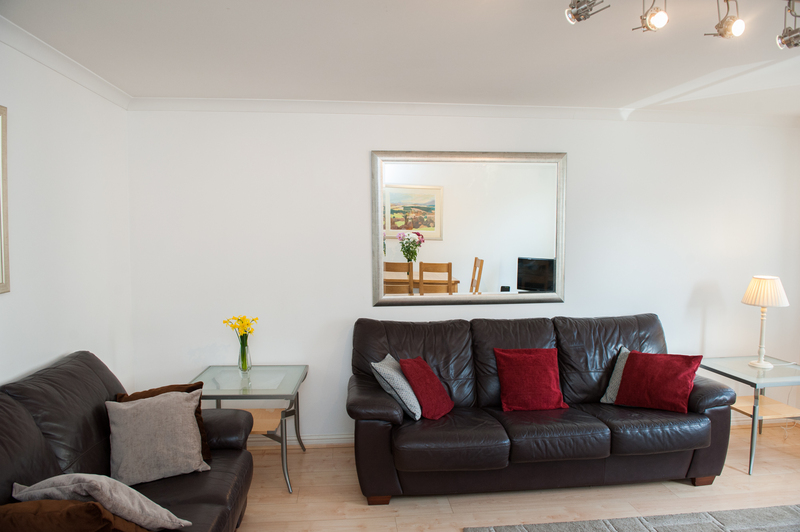 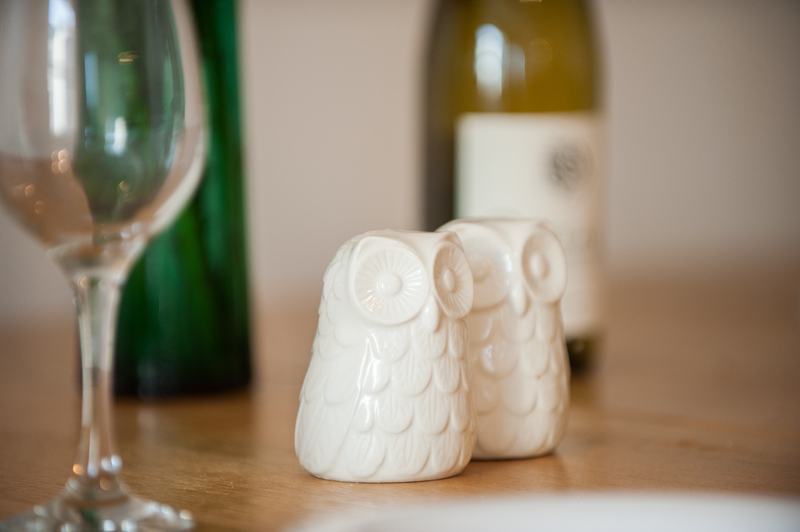 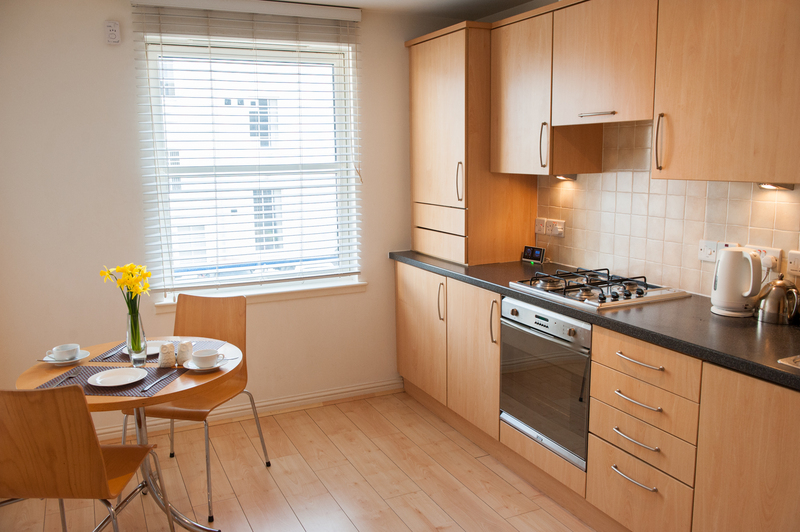 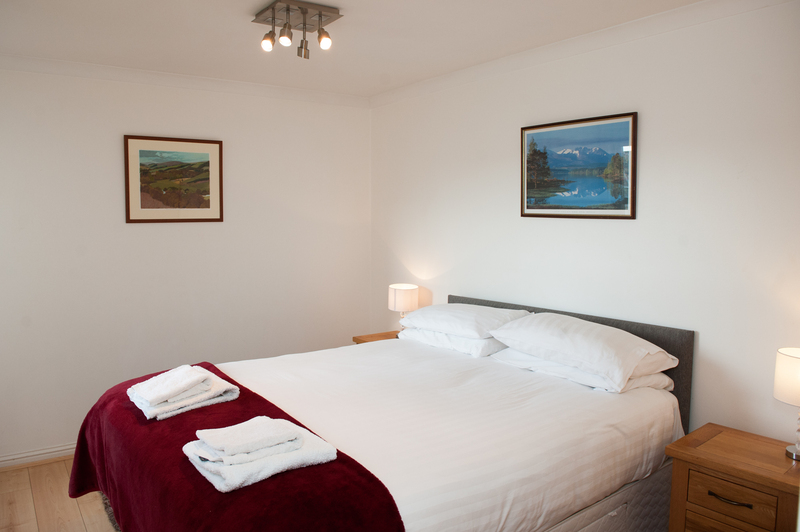 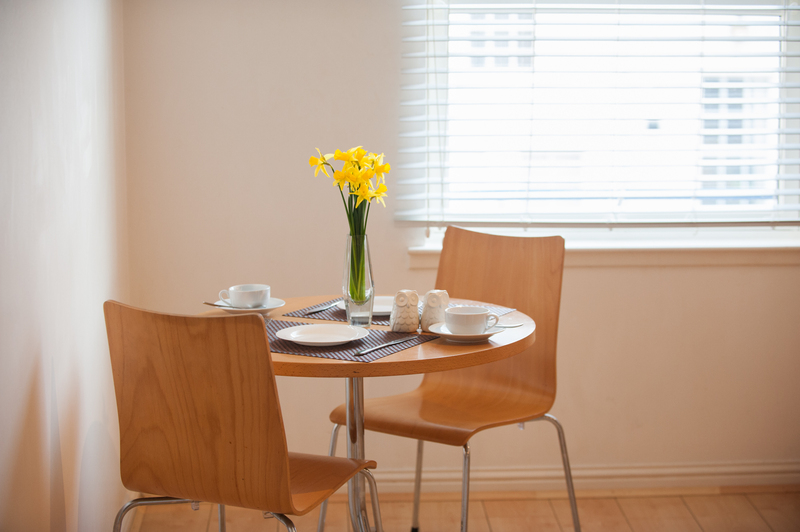 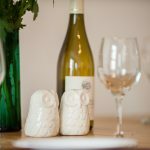 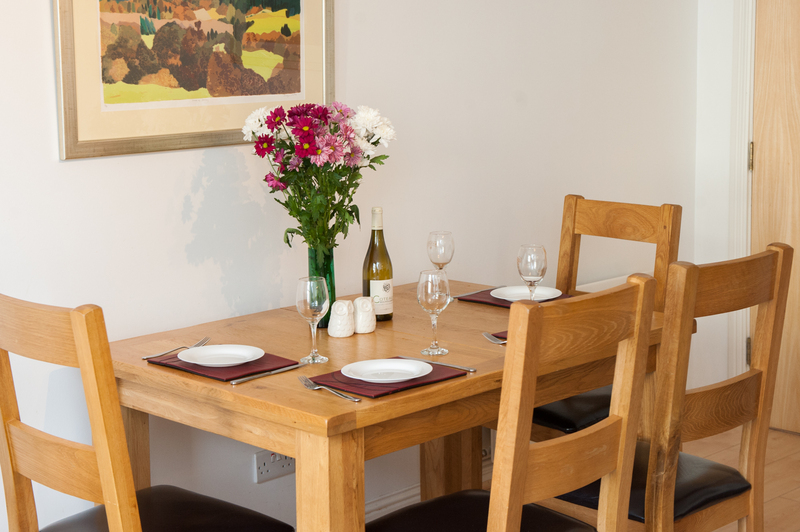 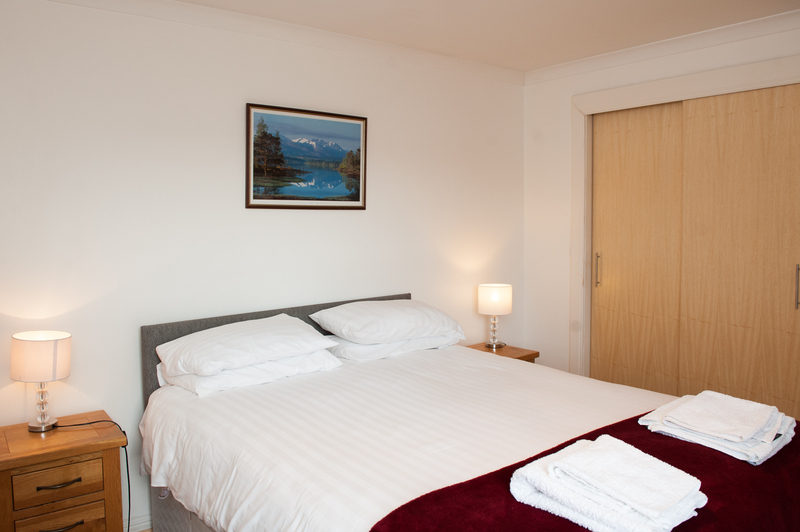 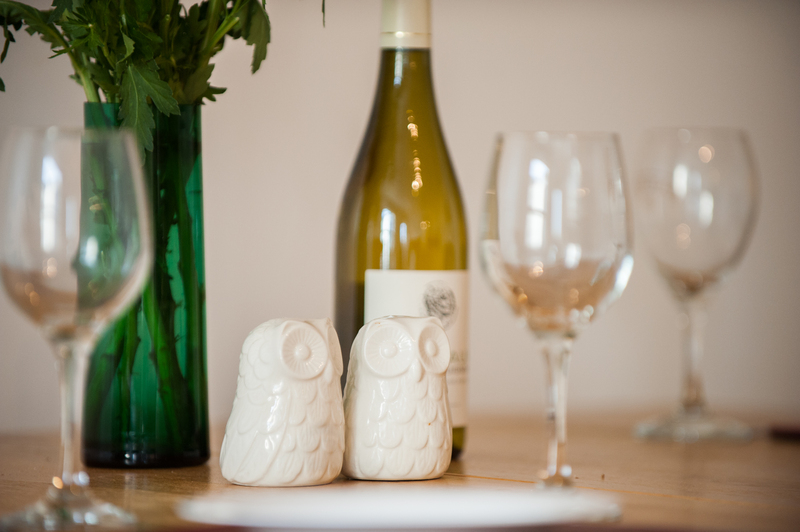 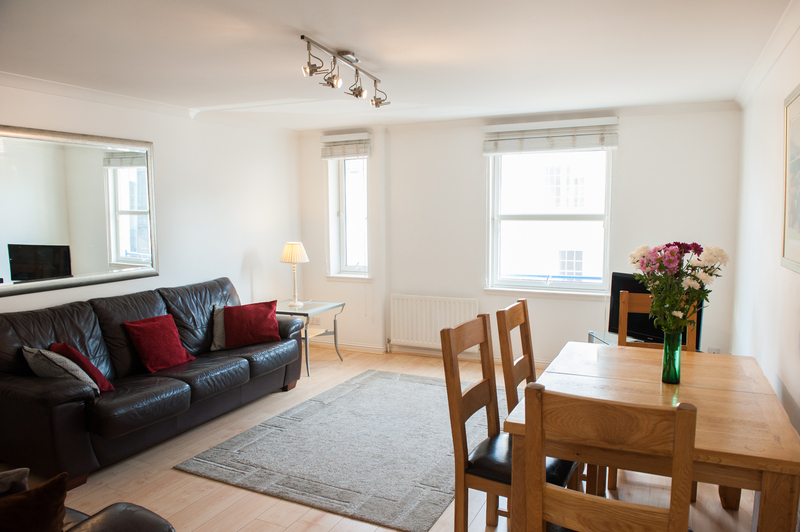 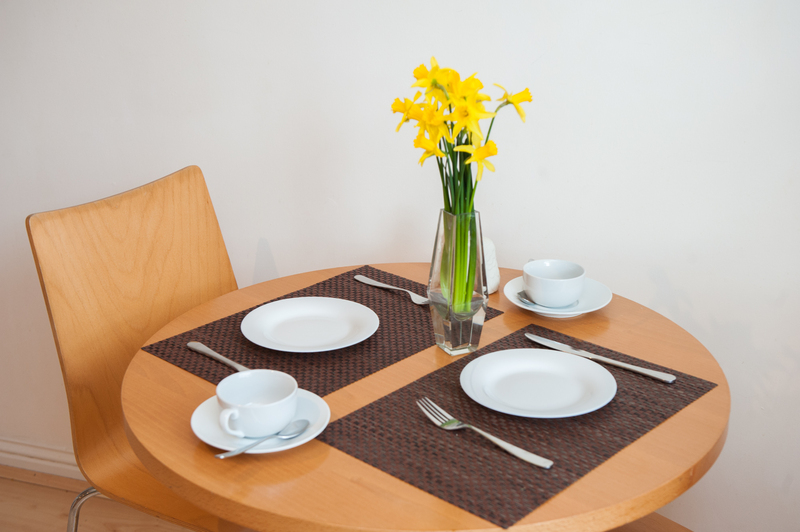 It offers free Wi-Fi and allocated Parking and comfortably sleeps 4 people, with space for 6. 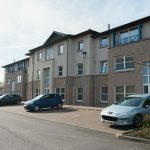 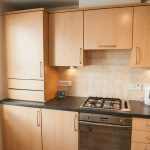 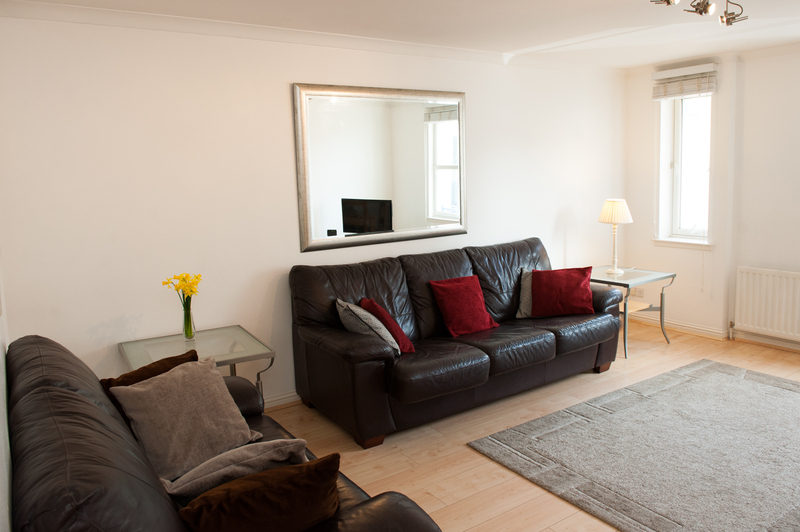 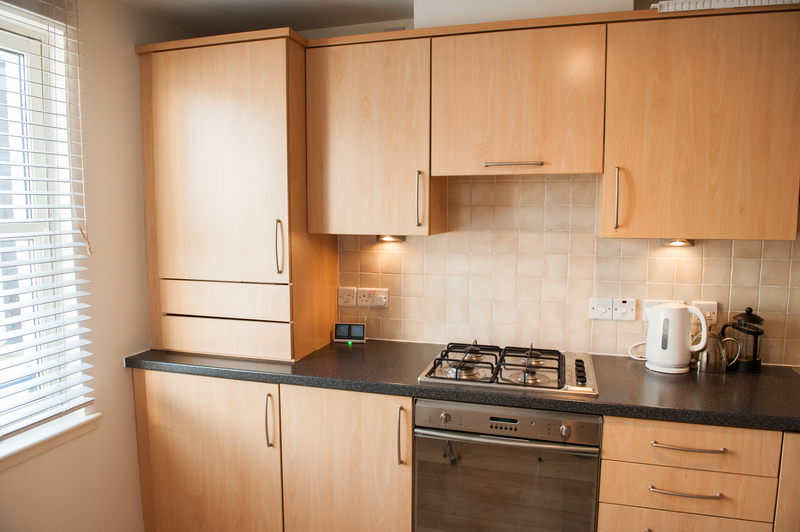 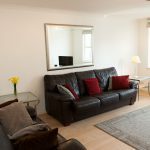 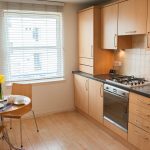 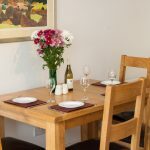 This self-catering first floor accommodation in a prestigious development close to the River Ness comprises secure entrance, spacious lounge with dining area, fully fitted kitchen including microwave, fridge, freezer, dishwasher and washing machine. 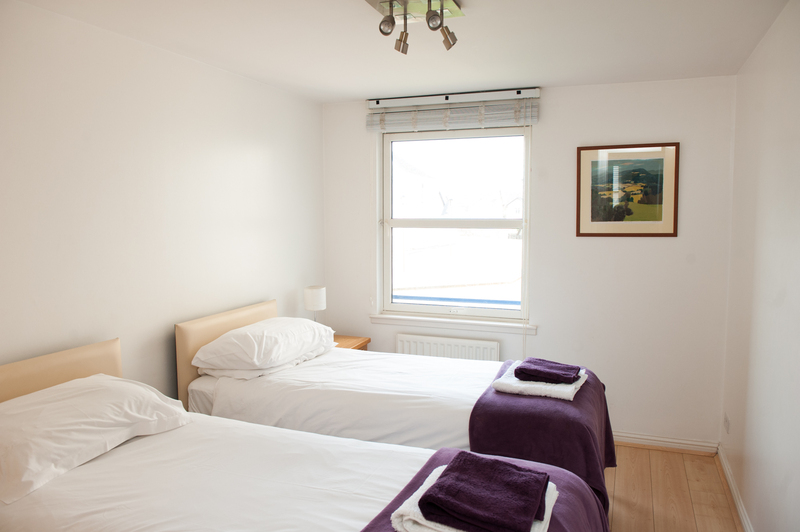 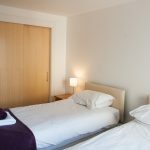 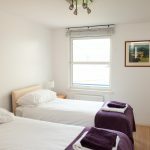 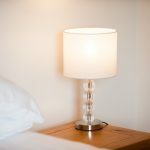 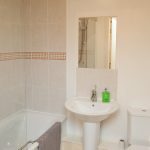 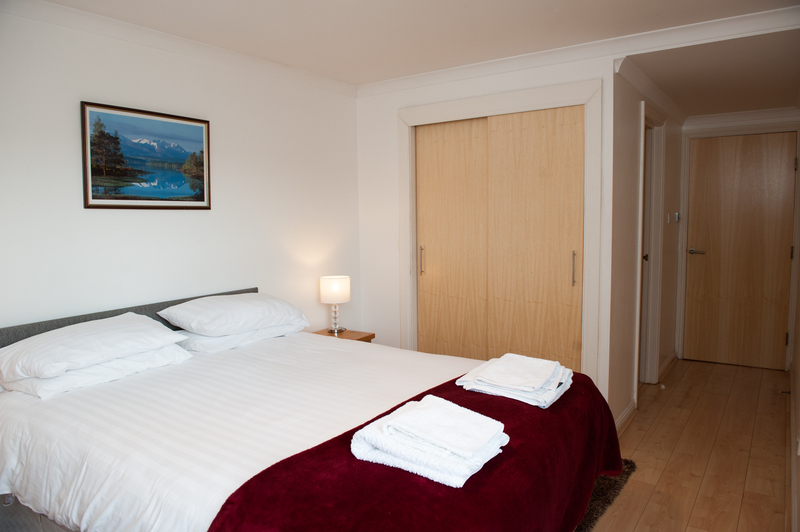 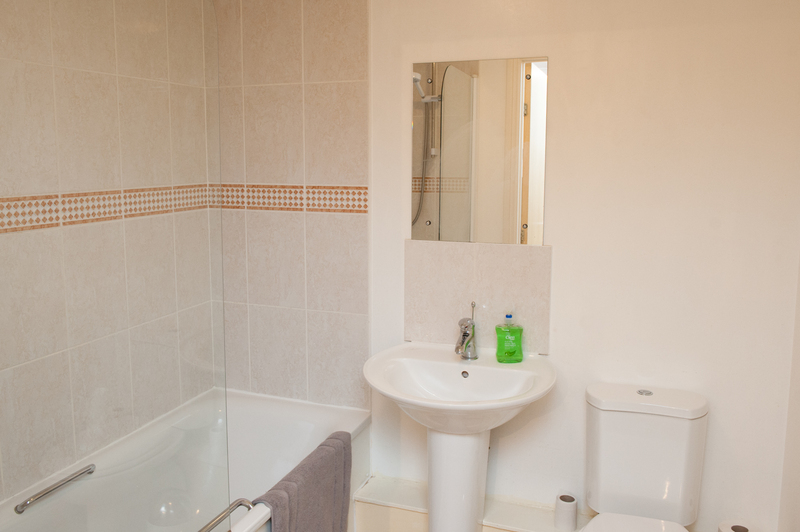 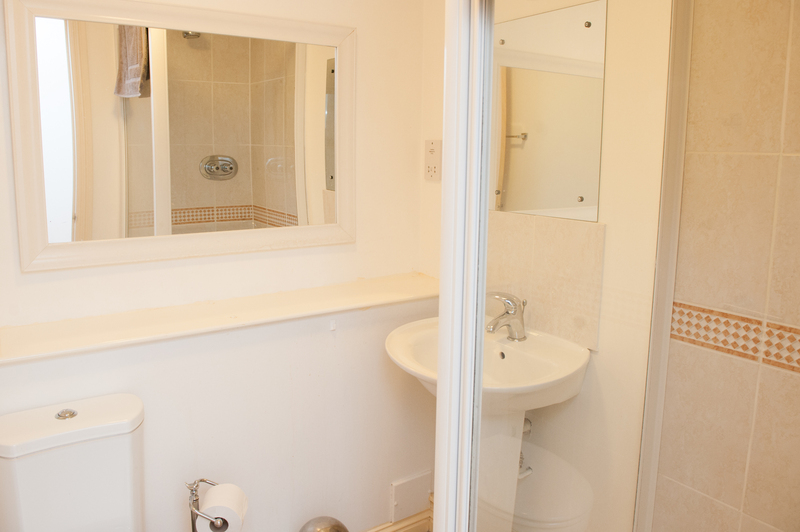 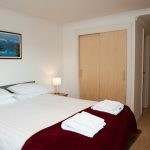 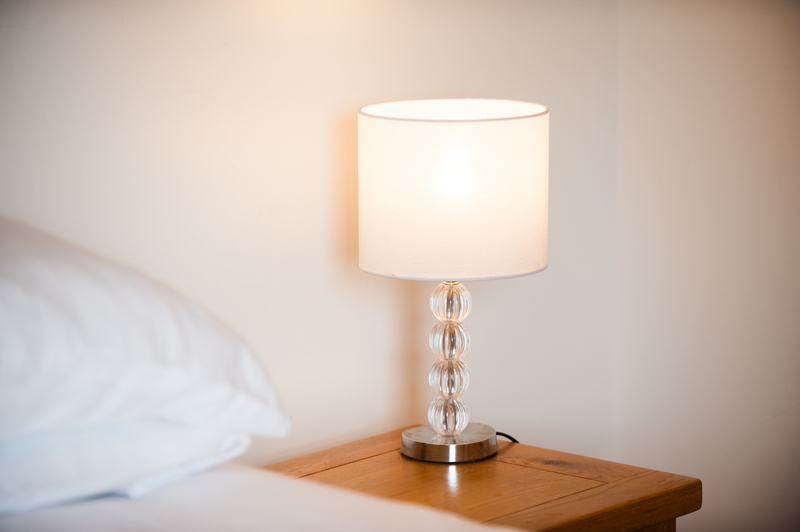 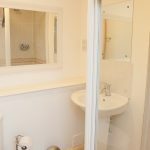 The first bedroom has a king-size double bed and en-suite shower, and the second bedroom is provided with twin beds and a separate bathroom. 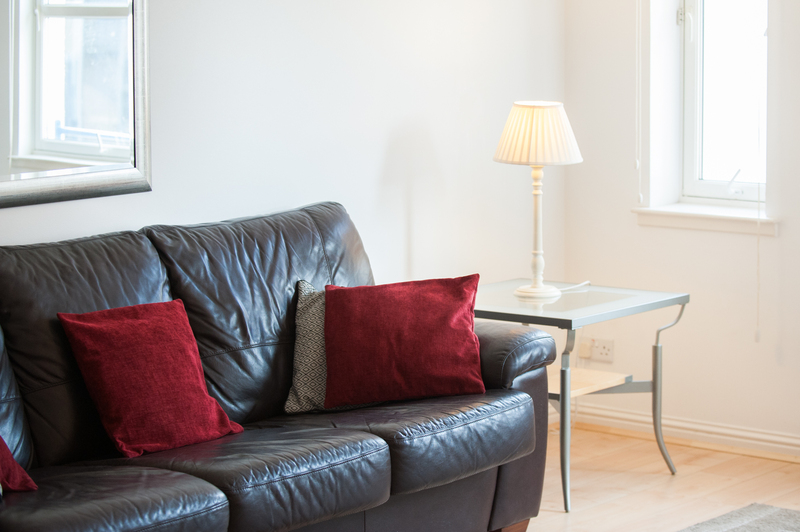 The stylish lounge comes with 2 leather sofas, one of which converts into a double bed. 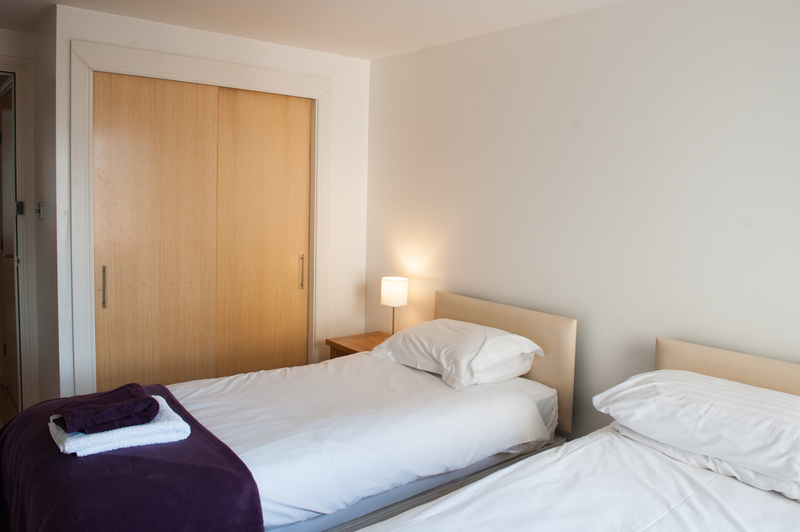 Eden Court with two theatres and two cinemas is just round the corner. 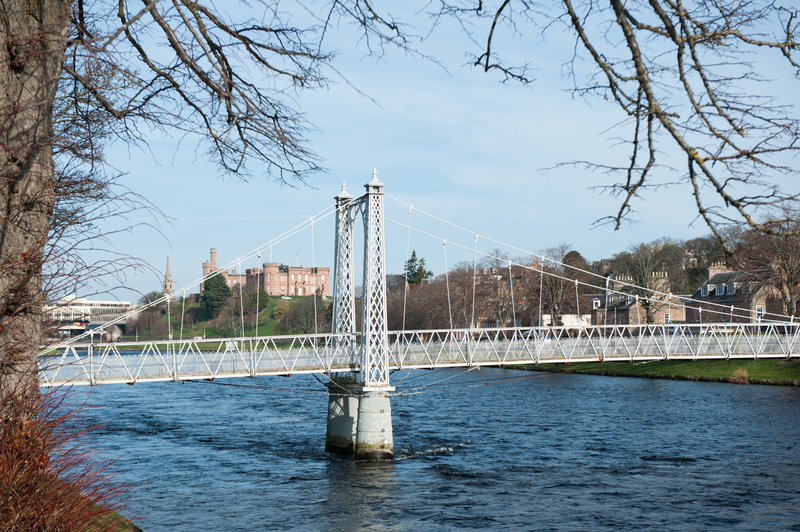 A leisurely stroll of ten minutes along either side of the river will take you past tastefully Victorian buildings, exquisite restaurants and coffee shops to the city centre. 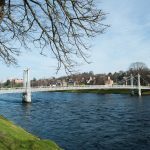 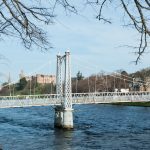 A relaxing walk in the other direction takes you across the Victorian suspension footbridge to the wooded islands or to the Leisure centre with swimming pool and fitness area, Ice Centre, the Caledonian Canal and the Botanical Gardens with their outdoor café. 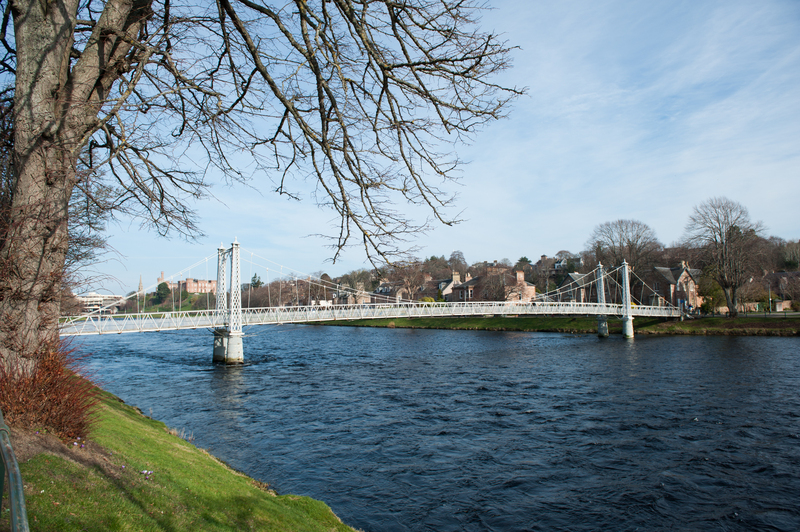 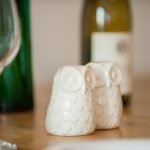 Situated in close proximity of the River Ness in the heart of Inverness, ‘River Walk’ is the perfect base for exploring all the sights and attractions of the Scottish Highlands. 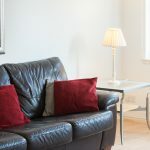 It is also ideal for business people, as Eden Court Theatre, the University Executive Building and the Highland Council are just round the corner.